This report covers the period of January - March 2015 and covers two main subjects: cyber-terrorism (offensive, defensive, and the media, and the main topics of jihadist discourse) and cyber-crime, whenever and wherever it is linked to jihad (funding, methods of attack). During January-March 2015, a prominent activist calling himself “The Islamic State’s Technology Expert”, and who is affiliated with the Islamic State (IS) on social networks, published several guidebooks and precautions on topics including, how to operate securely and secretly on social networks, how to maintain anonymity and encryption of cellular devices, how to use TOR technology on various devices form desktops to laptops, how to secure and encrypt information on personal computers, etc. Since the beginning of 2015 there has been in increase in cyberattacks by elements affiliated with the IS, including the defacement of Web sites and Twitter accounts, as well as information leaks. The attacks were carried out by various groups using the organization’s logo, such as the CyberCaliphate, or by parties acting on behalf of the organization, such as the Islamic State Hacking Division. The terrorist attack against the French magazine, Charlie Hebdo, in Paris led to mutual cyber-attacks with supporters of the IS attacking various targets, mainly in France. On the other hand, members of ‘Anonymous’ increased the fight against the IS and acted to disrupt activities on forums and Internet sites affiliated with the organization. In addition, as part of the OPISIS campaign, Twitter accounts of IS members were identified and blocked. During January-March 2015, trading in the amount of approximately 4.5 million bitcoins – worth over one billion dollars - took place on the Bitfinex site. At the start of the year, the average value of the currency stood at approximately 320 dollars and by the end of March its value had dropped to 245 dollars. Trading sites continued to serve as targets for cyber criminals, and several other sites were hacked and millions of dollars’ worth of coins were stolen. The United Nations Security Council stepped up its efforts to engage Member States in a variety of measures to combat terrorism over the past few months, in particular to mitigate the increased use of cyberspace by extremist groups in the Middle East. 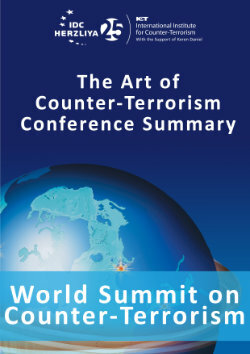 Three resolutions in particular exemplify this new approach, noted under the category of “Threats to peace and security caused by terrorist acts” and prompted by acts of terrorism and their promotion via the internet by the IS, ANF, Al-Qaeda and similar terrorist groups. This report includes an analysis of #OpIsrael 2015. This attack repeats itself on the same date every year with minor changes – each year different attack techniques are used, and the security response of organizations in Israel vary as do the results of the attack. The history of this series of attacks reflects the changes and changing trends of cyberattacks over the years, and the evolution of the security actions taken against them.